There is much indecision as to whether this is a separate species from the Small Square-spot, but until this debate is settled the Fen Square-spot will be treated here as a separate species. 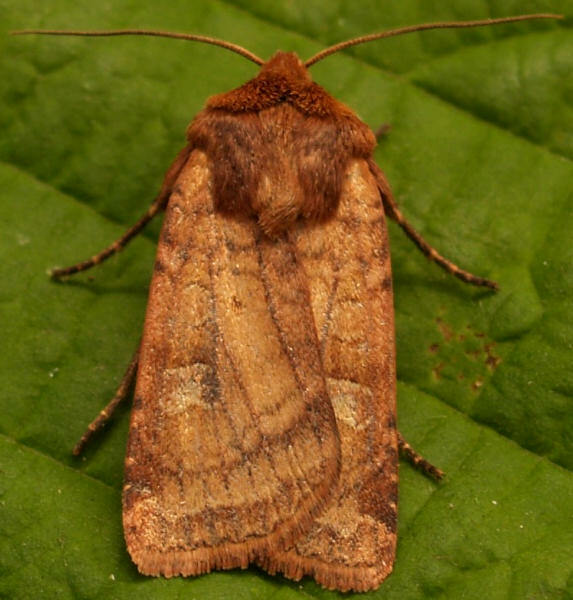 Probably much more common than the records suggest, being overlooked due to confusion with the Small Square-spot. Small Square-spot, Ingrailed Clay, Barred Chestnut. Fens, marshes and other wet places. The early stages have not been confirmed in the wild, but probably similar to the Small Square-spot.